Choosing where to stay when you’re traveling with family can be just as important as choosing what to do. Depending on the ages and interests of your kids, you may prefer a centrally located spot that offers all of the amenities you could need—or an option that puts more of an emphasis on adventure and exploring. The following three choices are all good for families but in very different ways. Choose a beach stay, a jungle lodge, or a once-in-a-lifetime camping excursion, and you’ll be one step closer to creating your perfect family trip. For beach- and ocean-based adventures suitable for kids and adults alike, you’d be hard-pressed to find a better locale than Barefoot Cay, located just off the Bay Island of Roatán. A boutique resort with nine accommodations—the majority of which are situated on a small private island adorned with palm trees and a pretty white-sand beach—Barefoot Cay provides a respite from the hustle and bustle of Roatán, as well as all of the amenities an active family could want. In addition to scuba diving and snorkeling, there are also kayaks for exploring, a private beach (the water along the shore is shallow and makes a fun playground for kids), and an outdoor pool. “It has a ledge all around it and was designed to have a shaded area no matter the hour of the day, so it’s a great spot to relax with kids,” says Mel. Elsewhere on Roatán, families can also zip-line, look for iguanas, fish, or swim with dolphins. When parents need a break, an on-premise spa offers massages, manicures, body scrubs, and facials. 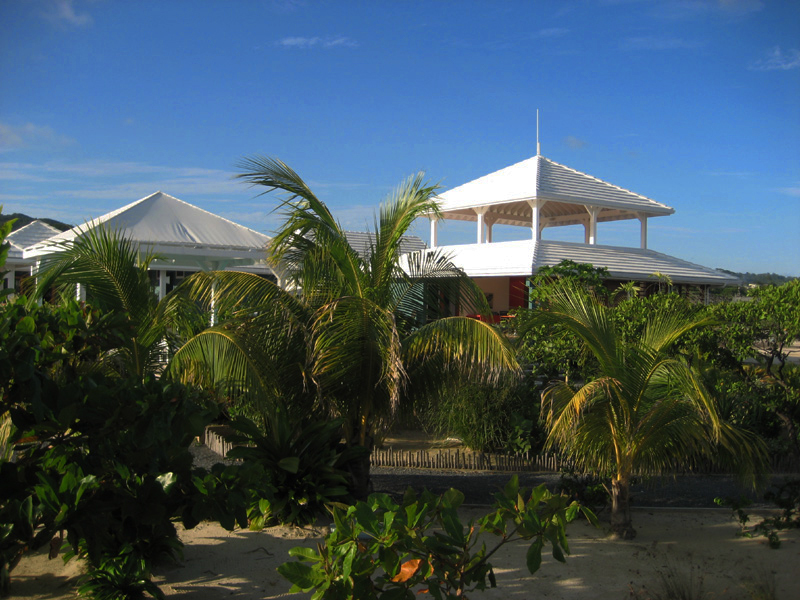 Barefoot Cay’s two-bedroom beachfront villas and two-bedroom ocean-view loft suites are great accommodations for families. Both options are air-conditioned and feature living areas that are big enough for the entire clan to hang out in together. They also have fully equipped kitchens where favorite snacks can be kept on hand (meals at the resort are provided upon request so guests have the flexibility to eat on-premise or off). If you can’t decide between the two, opt for a villa: You’ll be right on the beach. 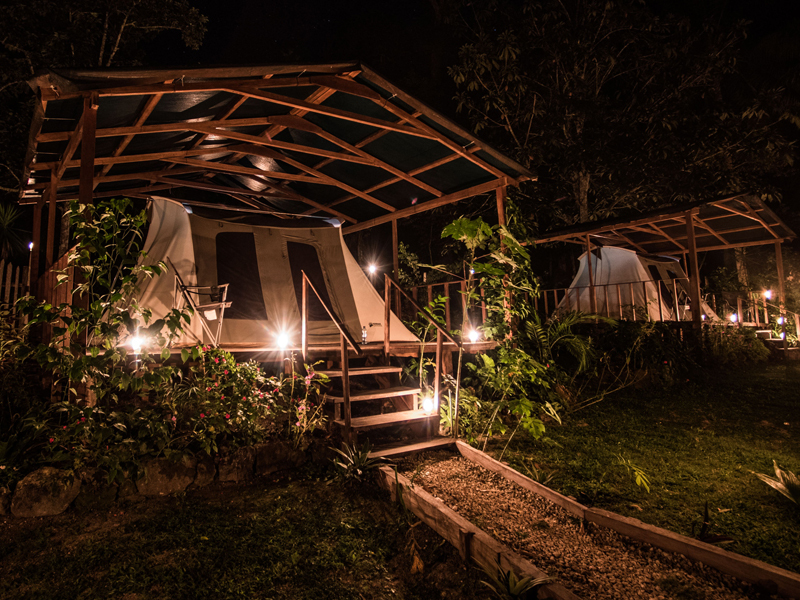 One thing’s for certain: There’s no getting bored at Copal Tree Lodge (Belcampo) Located in Belize’s southern district of Toledo, in the jungle-covered hills that stretch up from the country’s Caribbean coast, the lodge comprises 12 airy (and air-conditioned) suites, a 1,214-hectare (3,000-acre) farm with oranges, spices, coffee, and chocolate, a 6,070-hectare (15,000-acre) rainforest preserve, and a long list of adventures to be had. Many of the tours offered through the hotel are kid-friendly and designed to keep families active and engaged. Guided kayak and canoe excursions will take you up the nearby Rio Grande to look for freshwater crocodiles and water birds. Other tours visit ancient Maya ruins, modern Maya towns, and waterfalls and caves where you can explore and swim. On-premise educational trails teach hikers about rainforest animals, medicinal plants, and the myriad birds in the area. The resort’s most unique offering is its “snorkel with a chef” trip, during which guests can take an active part in helping Belcampo’s chef catch lunch—expect anything from lobster or lion fish to conch or crab. 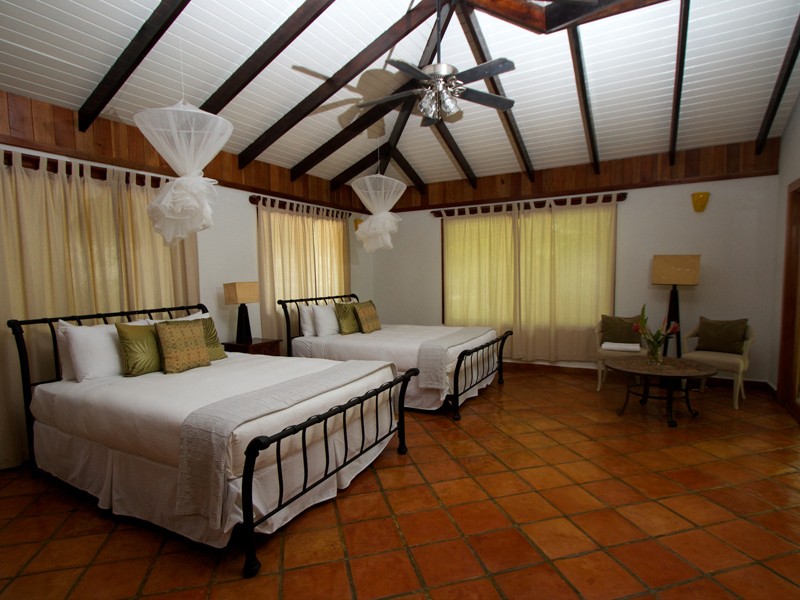 Accommodations at Copal Tree Lodge (Belcampo) are spacious, private, and ideal for families. Jungle and lodge suites include two queen beds, plus a futon (options with bunk beds are forthcoming). Each is outfitted with local artwork, a screened-in verandah, and a large bathroom with incredible floor-to-ceiling jungle views. In and around the main lodge, you’ll find a spa, a small pool, coffee and rum bars, observation decks with incredible views, and an open-air restaurant (with a children’s menu) where adults can toast an adventurous day and kids can use the telescope on hand to search for monkeys and birds. Looking for an off-the-beaten path family adventure? Plan a two-day camping trip beneath an ancient Maya ruin. The archaeological site of Uaxactún is located in Guatemala’s remote, northern department of El Petén (not far from the Tikal ruins) and comprises an elaborate astronomical observatory and several partially restored temples. Surrounded by tropical jungle, the site flourished from 350 B.C. to 250 A.D. and today shares a name with a neighboring Maya community that’s home to myriad chicleros (collectors of natural gum). Of course, families enjoy exploring the ruins and jungle, too. A privately guided tour covers the history of the ancient temples and also includes a climb up to a lookout tower for drinks at dusk. Dinner is served by candlelight alongside the ruins, where the campsite is located, as well. 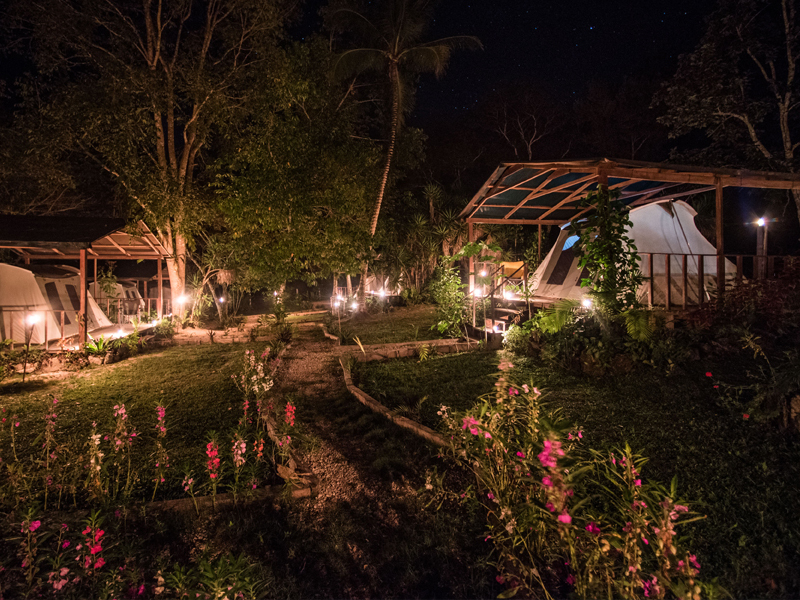 Camping here is comfortable (think tents, beds, and toilets) and allows you to experience the nocturnal jungle. “You can hear howler monkeys and all different kinds of sounds from the forest,” says Carlos. “And when it’s clear out, the stars are almost as bright as day.” In the morning, breakfast is served and then followed by a transfer to and tour of the Tikal ruins.